"I was incredibly fortunate to have found Jay Cunningham to be my divorce attorney- sadly more than once. Although my divorce was relatively low in assets, it was extremely high when it came to the emotional tension of the issues to be resolved. I could not have been in better hands. Jay was incomparable in the depth and breadth of his knowledge and understanding of family law, his strength and finesse in legal representation, and most of all his personal character and integrity. Jay is very connected and respected in the legal community and court system in Oakland County. He was patient, skillful, and extremely calm around the negotiation table. Jay also served as a welcome protective barrier between me and my very angry and aggressive ex-husband. Jay protected me, my kids and my assets, and I could not recommend him more enthusiastically." James P. Cunningham maintains one of the most highly regarded family law and divorce litigation practices in the state. 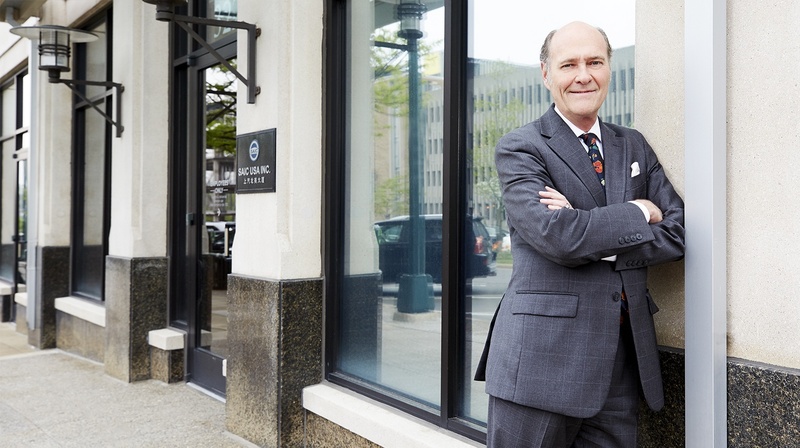 In his over 30 years in practice, he has represented numerous men and women well-known in the Detroit metropolitan community. His career includes ten published appellate cases concerning important family law issues, three of these before the Michigan Supreme Court. A prolific author, Jay has published over twenty articles on family law topics. He lectures extensively throughout the state. He is one of three attorneys in Michigan certified as a fellow in the International Academy of Family Law. He is on the faculty of three institutes that provide legal education and certification to lawyers and non-lawyers, and is the adjunct professor of family law at WMU - Thomas M. Cooley Law School. He is a Fellow and past President, Michigan Chapter of the American Academy of Matrimonial Lawyers, the most prestigious organization of family law practitioners in the nation. Jay is also a past President of the Oakland County Bar Association, a current member of the Board of Trustees of the Charles H. Wright Museum of African American History, and a current member of the Board of Directors for the Birmingham Museum. Prior to law school, he served five years with distinction as an officer in the United States Navy. Jay is frequently honored for achievement by his peers and ranking organizations. He has been named as a “Michigan Super Lawyer” since its inception, and among Michigan’s “Top 100 Lawyers” by Thomson Reuters. He is also ranked by Martindale-Hubbell as an AV® “Preeminent”™ Lawyer since 1988. As well he is included in Best Lawyers in America, the nation’s top-ranked peer recognition network. Tried to completion over 100 divorce or custody trials. Eight attorneys from WWRP have been selected for inclusion in "The Best Lawyers in America 2016"
Due Process TV - "Life After Divorce"
On this edition of Due Process, Henry Baskin, Donna Virkus, and James Cunningham discuss enforcing divorce decrees and ways to make sure child support is paid. Due Process TV - "Modifying Divorce Judgments"
The current economic climate has made some divorce judgments challenging to fulfill. Henry Baskin and James Cunningham discuss possible ways to modify existing settlements including an evaluation of personal bankruptcy as it relates to divorce.